I read the MFL after finding this forum and I loved it. I already believed that working all your life to retire at 65 was not the way forward but this book absolutely confirmed it. Thank you for writing it! lenen, Kingmaker and MJ DeMarco like this. Listened to it, read it, listening again. Amazing how everytime you read/listen to it again something new comes up. More insights, more ideas, more motivation. Thanks MJ! Kingmaker and MJ DeMarco like this. Finished reading it last week. Took me awhile to finish it though because I started a new gig after reading one of the later chapters where I had an "AH HA!" moment. Made the first sale yesterday!! Great book, for sure. I also listened to the Audible version and I come back to it on a long car trips. "Automobile University" as Mr. Zig Ziglar used to call it. Read it! Definitely changed my outlook on my future. Thank you MJ! Loved it. Really connected the missing link for me that I had been searching for. "Going fastlane.... requires you to turn your back on people farting headwinds in your direction"
Amongst other comments of disdain toward the slow lane. Love it, just the kind of tough love that I needed. In particular I found very useful: The producer mentality, that really stuck for me. Action I plan to do now because of your book: launch a independent publisher and produce training programs for people including videos, workbooks and skill building. This will allow me to work on my online skills, video editing and content production. Focusing on the knowledge I have to improve peoples quality of life and enable them to build their own confidence and skills. Guest3722A, PoGOOD, MJ DeMarco and 1 other person like this. That sums it up very nicely! Guest3722A, MJ DeMarco and Kingmaker like this. Read the book and became a member awhile ago but havnt been very involved ! Looking to jump back in. I finished it last week - Kindle version. The book is great, it's really helped me decide how to redesign my tiny side-business into a Fastlane business. Now I have to execute! I've also recommended it to a friend whose business is really a (well-paid) disguised job and has plateaued in growth for a couple of years. I don't know if he'll take the advice on board, but that's not my problem! I read it during my vacation a few days ago. Great read! Now it's time to put all this into life. I read the book and it was really eye-opening. IceCreamKid and MJ DeMarco like this. I've read the book several times and I'm currently rereading it. Every time I read it I see something from a new perspective and gain new insights, I see how it could apply to something in real life. I love the book, it's probably one of the best books, if not the best book I've read when it comes to business mindset and attitude. It's truly life-changing if you take it to heart. MJ DeMarco and PoGOOD like this. I read your epic book and joined this fantastic forum a little over a year ago. I've since worked on reconfiguring my spidey senses to detect NEEDS (instead of imminent danger)... a pumpkin bomb almost got me the other day..
Reading your book again now. Recommending it to like-minded family members and friends that need a massive awakening. Thank You for helping me and everyone else that has discovered YOU. Finished reading the book a month ago. I read it during my boring lectures, definitely learned more from reading this book than from the lectures. Funny thing happened while I was reading it: My classmate saw the title and he was like "Lol you wanna be a millionaire, the only way to do it is to rob other people" (okay..), I told him to read the book though I don't think he will.. Anyway, Thank you Mj for the wake up call ! Today and yesterday are like chalk and cheese. Yesterday I was in that place where I knew a gear change was needed regarding my current business and financial situation. The question was whether it would be down a gear or up one or more gears. I bypassed the desire to buy another self-improvement book and decided to take a peek at the ones I haven’t finished yet. I randomly chose Letting Go – The Pathway To Surrender by David R Hawkins and read the following, which I have paraphrased. The way to overcome a difficult situation is to spend time in the company of those who have already transcended your issue and who have achieved what you want to achieve. 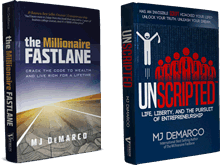 Bearing this in mind, I went to the kindle store and started looking into wealth creation and within about five minutes found the Millionaire Fast Lane, bought it and started reading. I am SO glad I did. It is the best book I have ever read on the subject and has given me crystal clarity on what to do and how to do it. I then joined the Fastlane forum and again I am so pleased that I have found this community – and I am truly looking forward to posting my results one year down the line and to contributing, sharing my experience and posting interim results along the way. I am half way through the book and it has already changed my thinking and perception in positive ways. Whereas yesterday I felt like a failure! Today I see that I have built the seeds of an ecommerce business that is now at a stage where it could move upwards in fast leaps as I have already spent the past year and a half doing the learning and groundwork. This is a positive gear change indeed. I guess I would be described as getting on in years – but back in my twenties I was not so healthy, energetic or motivated as I am now. I feel the best I have in years and am very mindful that time is ongoing and that I am keen to us it wisely. So thanks to MJ for writing this life changing book and creating this game-changing forum and for the chance to be a part of it all. Limitless4Life, Mohamad Fakih, Kingmaker and 1 other person like this. I'm older than most people on this forum. Book MJ made a strong impression on me. It is a pity that I have not had a chance to read it twenty years ago. But I think never too late to go at fastlane. I recommended to her son. Thanks MJ! I'm listening to it for the third time. I have read and listened to a lot of self-help / business books. This one has impacted me the most. I currently run a gym. This gym is not fastlane. I know this now. I am diverting my attention away from the gym to another venture. 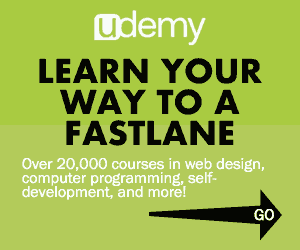 This new venture has signs of the slow lane with the potential for the fastlane. It can be scaled but only with human resources. I'm at bat taking swings. Eventually i'll be hitting a home run. Thank you MJ for being genuine! Limitless4Life and MJ DeMarco like this. Listened to the audiobook during xmas and now going a 2nd time through part 7 - the roads to wealth. Love MJs tone and voice , but even more the tactical value he gives in his book. I read the book about two years ago. It changed my perspective and I have been able to accomplish a lot. I finished the book a few weeks ago and my brain is still in overdrive. What a fantastic gift, thank you so much MJ! forums, then these forums led me to The Foundation and so many amazing successful people willing to help their fellow man. Soooo filled with hope right now and the way I think about money and the marketplace has really been turned on it's head. CurlyRX and Helen Adams like this.